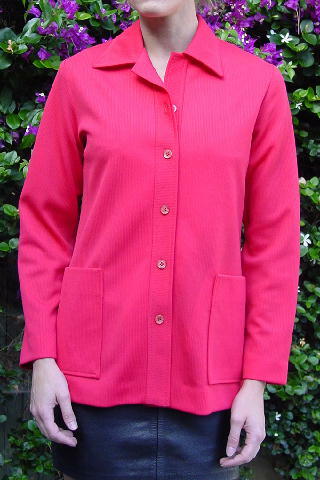 This vintage 100% polyester jacket is by Graff Californiawear. 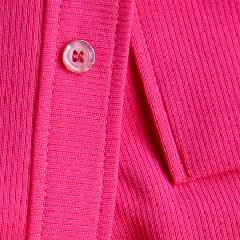 The fabric has a ribbed effect in a cherry-watermelon color. 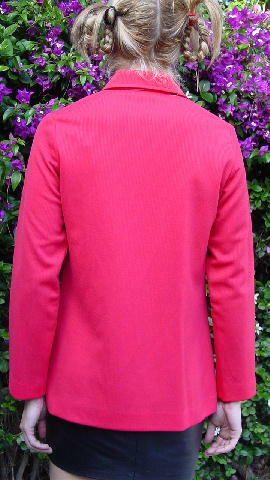 It has long sleeves, a shirt collar, 2 lower front pockets, and five light coral iridescent buttons down the front.